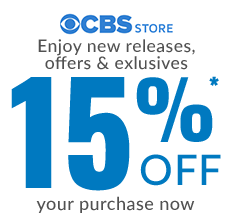 Star Trek fans across the planet have been intrigued by the many mysteries Star Trek: Discovery delights in weaving into their stories. And no enigma has sparked more debate than the identity of the crew wearing those beautiful division badges that have come to be known simply as "The Black Badge”. 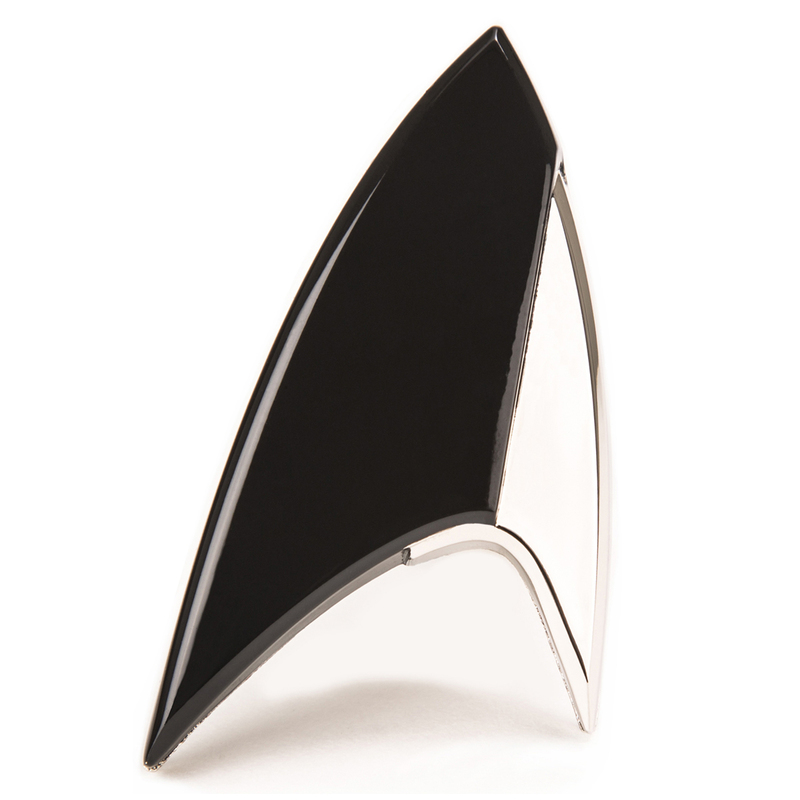 As part of our exclusive line of screen-accurate Star Trek badge replicas, we bring you the mysterious black badge itself. 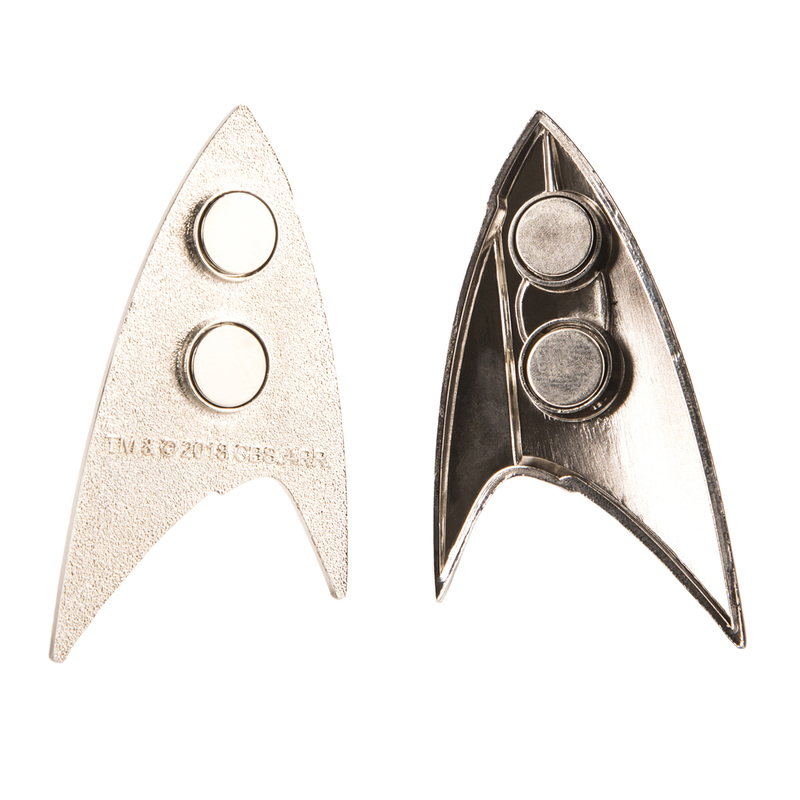 All of QMx's Starfleet Division badges are exact replicas of the uniform insignia worn in the shows and movies, with each design taken directly from the screen-used hero prop. Not only are our replicas pristine and perfect recreations of the original prop, they are all approved by the show's propmaster himself. That includes QMx's unique magnetic clasp, which uses strong, short-field magnets embedded in the badge and a separate backplate (included). No more pinholes in delicate fabric; they can even be worn on leather and suede. Packaged in a blister case with hole for hanging. Dimensions: 2.5 x 1.5 x 0.2"
I love the weight and feel of this in my hand. As a kid my dad bought me a cheap Star Trek badge. I feel like it must have been $20 but that was 30 years ago. So glad this one has the heft and feel I expected. Love it! There is a little scuffing on the front of the badge I haven't been able to get rid of. I purchased the badge for a friend. We were both so pleased with the quality and how beautiful it is. Good weight, metal, snaps securely with the magnets on most light to medium fabrics. Elegant and stylish, just like on the show. Comes in a nice blister pack. Front was a tiny bit scuffed from shifting around from shipping, but nothing a little wax and polishing couldn't fix.